(1) Take Hwy. 99W & follow it all the way through McMinnville towards Newberg until you pass the turn for Hwy. 47 to Carlton (after you go over the bridge leaving town). (2) Take a Left just after you pass Bunn Village (the brown metal warehouse buildings). (3) Our store is on your right. (1) Take I-5 S to Hwy. 99W. (2) Follow Hwy. 99W through Tigard, Sherwood, Newberg, Dundee, & Lafayette. 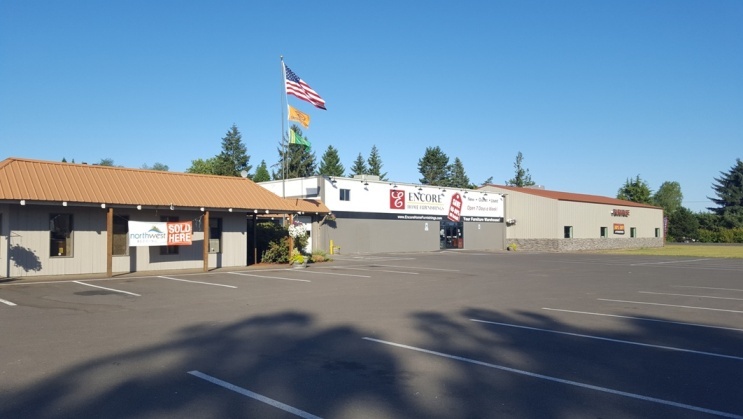 (3) You will go a few miles past Lafayette and will come to the North end of McMinnville. (4) When you see the Honda dealership on your left, start slowing down. Bunn Road is the 1st left after their dealership. Turn Left on Bunn Road. (5) Our store is on your Left. (1) Take I-205 S to I-5 N.
(2) Take the Tualatin exit off I-5 N immediately after you get on I-5. (3) Follow Tualatin-Sherwood Hwy. through Tualatin to Sherwood where it dead ends into Hwy. 99W. (4) Turn left onto Hwy. 99W. (5) Follow Hwy. 99W through Sherwood, Newberg, Dundee, & Lafayette. 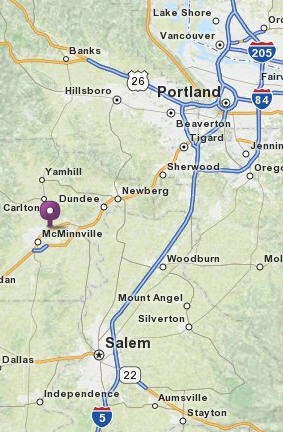 (6) You will go a few miles past Lafayette and will come to the North end of McMinnville. (7) When you see the Honda dealership on your left, start slowing down. Bunn Road is the 1st left after their dealership. Turn Left on Bunn Road. (8) Our store is on you left. (1) Take West 22 to Wallace Road/Salem-Dayton Hwy. (2) Stay to the Right & go 11.5 miles on Wallace Road/Salem-Dayton Hwy. (3) Take a slight Left onto SE Lafayette Highway - just after you see Wheatland Road on your Right. (4) Go 11.9 miles on SE Lafayette Highway until it ends at 99W. (5) Turn Left on Hwy. 99W & go 2.4 miles. (6) Turn Left on Bunn Road, just after you see the Honda Car Dealership. (7) Our store is on your left. (1) Take Hwy. 99W towards McMinnville. (2) Follow 99W all the way through McMinnville until you pass the turn for Hwy. 47 to Carlton (after you go over the bridge leaving town). (3) Take a Left just after you pass Bunn Village (the brown metal warehouse buildings). (4) Our store is on your right. (1) Take Hwy. 18 to McMinnville. (2) Turn onto Hwy. 99W & follow it all the way through McMinnville until you pass the turn for Hwy. 47 to Carlton (after you go over the bridge leaving town).